1. I am still utterly obsessed with goldendoodles and I totally want one. 2. I tried a skinny vanilla latte this morning. I determined to try every drink that was suggested on my blog post. I am going to make an excel spreadsheet with every drink and make a column for drinks I like, don't like, and still need to try. 4. Yes, I am a nerd. 5. I am so sick of house hunting. My husband is the pickiest man alive. One house that we loved he decided he didn't like because the master bathroom door was too close to the toilet. Excuse me....WHAT? 6. I am an event planner. I have decided that I love planning the event but I hate the implementation part. If I could plan an event for months and then be gone the actual day of said event it would be wonderful! 7. Excited for the Grey's premiere tonight!!!!!!! 8. I wish that Lost was starting right now. 9. 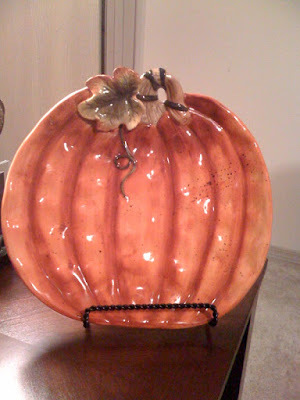 I set out my fall decorations and I am still in need of some more pumpkins. 10. I want to go to NYC soooooooo bad. I told hubby if he wasn't going to buy a house anytime soon he needs to take me to NYC. I keep hoping he is planning a surprise trip there, when I told him this he laughed at me. I'm thinking no. 11. I have on a sweater today. My whole life my family has had a dog. When I was younger, if a friend didn't have a family dog I thought it was totally weird. What kind of family doesn't have a dog? When I went to college I became completely obsessed with getting my very own dog. 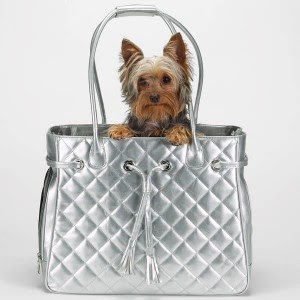 I desperately wanted a dog to carry in my purse. When I want something I don't just want it, I become completely OBSESSED and that is what happened to me. I would go to the local pet store almost every. single. day. And it didn't help that I went to the pet story on my birthday and the cute little puppy that I had my eye on was gone. I talked to the store owners about the person who bought it and they said it was a boy who bought it for his girlfriend for her birthday. Do I need to remind you that it was my birthday that very day? Naturally I became convinced that Luke had bought me the puppy. All day I practiced my 'surprised' face when Luke would bring out the cute black and white puppy. That night Luke gave me a rather large gift card to a local Spa for an all day massage/facial etc. etc. It was not a puppy. All of the practicing my 'surprised' face went out the window. I'm pretty sure I just looked ticked. I thought for sure I was getting a sweet cuddly puppy! I still occasionally apologize to him that I was not very grateful for my gift that year. And despite my actions I am glad that he still chose to marry me. We laugh about it today, however he doesn't really laugh when I remind him that I still haven't used the gift card (the gift-card doesn't expire at this particular place). It has been four years since that birthday. It is just too painful to use the money knowing that it should have been spent on a puppy! Actually I'm just not a big fan of massages. They are kind of weird to me. Anyways, since that birthday my deep desire for a puppy has sort of gone away. And the fact that our apartment doesn't allow animals has pretty much taken the option of getting a dog out of the equation. But now that we are home hunting we have been bringing up the puppy option more often and talking about what kind of dog we would want to get. When discussing options I thought I wanted a small dog that I could carry in my purse, and Luke wanted a big dog. Seriously, is that not the cutest thing you have ever seen? 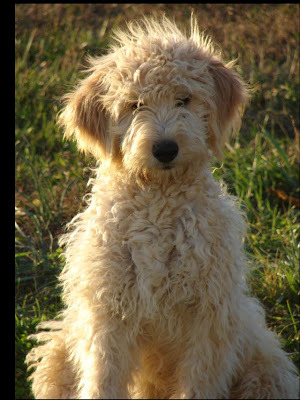 Its a goldendoodle and I want one. Today. A student was walking one of these on campus the other day and it was like a REAL LIFE TEDDY BEAR. I never knew I could have puppy love at first sight! But I did. They are just the cutest things ever. I am still trying to talk Luke into getting one of these when we get a house. I might even let him use my gift card money for a massage if he lets me have one! So, are you a little dog person, or a big dog person? Or perhaps, a cat person? *I found this particular goldendoodle picture on the internet on several sites, so I don't know where the original is from. Sorry I have been MIA lately. 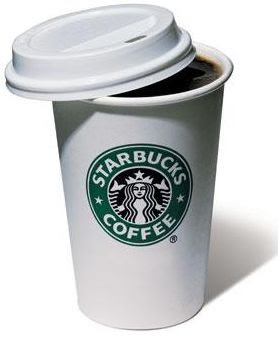 I have been busy trying out all of the millions of drink options that were left on my last post about your favorite coffee drink. Seriously, so many options out there and I am determined to try them ALL. A lot of you girls suggested the White Chocolate Mocha drink, which I tried the next day and it did not disappoint. Luke received a $20 gift card to Starbucks this weekend and being the awesome hubby that he is he told me I could have it to continue my quest to try every drink combination that was left on my blog. That and the fact that he doesn't want to gain weight from drinking a fatty drink every morning. I hope to post with my favorite drink soon. I know, I know you are on the edge of your seat waiting. Aside from drinking a lot of coffee this weekend, I also spent a lot of time in front of the TV. I watched Dirty Dancing and only cried 3 times and then watched the Emmy's and only cried once. Ry Ry was totally robbed. He should have won for best host. End. Of. Story. I wish I had something more fun to talk about but I do not. I have noticed that I have some new followers/commenter's so I just wanted to say hello. Last year I did a question and answer post which you can find here. Just in case you want to know more about me. I am pretty much an open book. Sometimes, too open which causes my mother and husband to cringe. And because I have nothing at all to talk about if you want to ask me any further questions feel free. Unless it is how I felt when Ryan didn't win the Emmy. Because I don't want to relive that memory. During my college years I discovered something amazing. Actually I discovered a lot of amazing things during college, and not one of those amazing things had anything to do with school work. Seriously, this stuff was amazing. And please notice that I said was. For some reason the people at Garnier thought it would be a good idea to STOP making the best curl cream ever. 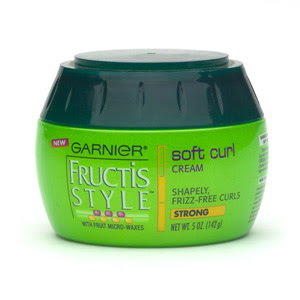 Can we please have a moment of silence for the best curl cream ever? I have mentioned before that I prefer my hair straight, but days that I do wear it wavy I always rely on my Garnier curl cream and it has never failed me. Until the day they suddenly stopped making it for absolutely no reason. So now I am on a quest. A quest for the perfect wave. And to obtain the perfect wave I need the most-perfect wave producing product. Well the second most-perfect wave producing product since they just quit making the number one product. So friends, those of you that were born with hair not so straight, but also not so curly, hair with just a bit of wave in it. What do you use to get the *perfect* wave? My hair will forever be grateful. I have mentioned this before but I am a seasonal eater. I like cool foods in the summer and warm foods in the winter. And I know its September but today the temperature only got to 71 degrees and I consider that Winter. So I knew I would want something warm for dinner. The past couple of weeks, I have started planning my meals out on Sunday night for the entire next week. And yesterday it was rainy and cool (to me) so I planned to make a warm meal for Monday night. I have this great Taco Soup recipe that I got out of the Kraft magazine last Winter and it is a perfect, quick meal. This recipe is so easy and super yummy and VERY quick. Thanks Kraft! I went to two showers this weekend, but I didn't take one picture. I went to a personal shower on Friday for a church friend and a baby shower on Saturday for my friend Faith who is expecting her second little boy. A couple of weeks ago several commenter's asked about a Personal Shower. I don't know if it is a southern thing or not but a personal shower is a shower for the bride. Everybody brings her lingerie and 'fun' things for the honeymoon. I have been to some personal showers that were the same night as the Bachelorette Party and some that were a completely separate event. They are always a lot of fun! Definitely my favorite type of shower to go too! I hope that is a good explanation. Yesterday (Sunday) Luke and I hung out with my parents and then went to dinner with some good friends and had fun. I watched the VMA's for the first time in several years and was quickly reminded why I despise all things MTV. And that is where this edition of Weekly Weekend Update ends. 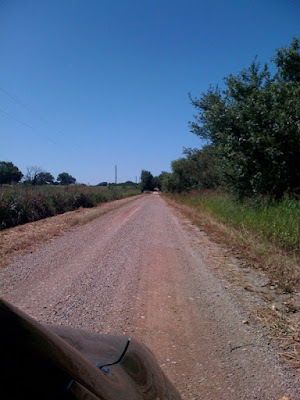 Yesterday a friend pointed out that I had been slacking in the blogging and tweeting area. Truthfully, I have been slacking in the whole 'life' thing all-together. I have been so absent minded lately. And feel very 'out-of-whack'. I have been going non-stop lately and will continue to do that through the first of October. Which, I'm not complaining, I love a fast-paced life. But if my blogging, commenting and tweeting are less than normal please do not be alarmed. And sadly my blog and twitter account aren't the only ones who are being neglected. My poor little DVR needs so much attention its not even funny. I definitely need to get it cleaned out before all the shows start with the new seasons. Which I know a lot of shows have already begun they are waiting for me on my DVR. I just haven't had time to watch them yet. And you know, if Megan isn't watching TV then she must be really busy. I always make time for my beloved TV. Its kind of annoying when life gets in the way of important things like The Vampire Diaries. Which I still haven't watched so if anybody has a review I would love to hear it. And now I must get back to these so called life events. Plus I need to make time for buying pumpkins, you can never have enough pumpkins. Every morning at work I create my daily To Do List. And sometimes if I complete a task, but it wasn't on my To Do List I will totally write it on the paper just so I can mark it off. And every list must be written in black ink with a gel point pin and marked off with a red fine point Sharpie. I'm not high-maintenance at all. So the other day Luke told me that he was reading a book that encouraged him to write down not just his daily/weekly/monthly To Do's but to think broader and write down everything you want to do at some point. Sort of like a Lifetime To Do List. So I joined in with him and jotted down some of my Life goals. And by jotted down I mean I am on page three. Neither of our lists are done yet (they will probably always be a work in progress) but we shared our lists tonight. It was so fun! Some of the goals are short term, and some are long term goals. Some are serious and some are silly, but they are all truly goals. When we made our lists we wrote down everything that came to our mind. Whether it was silly, materialistic (please see Speedy bag for reference) or seemed completely out of reach we wrote it down. We never want to limit ourselves to what we can do just because it doesn't seem 'do-able' at this moment. Plus, even though it doesn't seem possible I learned more about my husband. Such as the fact that he wants hundreds of THOUSANDS of dollars worth of music equipment sometime in the future. I'm not sure if that will come before or after my Speedy bag. So what is a goal you have? Just the first thing that comes to your mind. It can be something serious or silly. Something that you can achieve in the next 24 hours or maybe its something you won't be able to achieve for several (several) years. I'm excited to see every body's goals! This was most definitely not a very productive/eventful weekend, but it was a fun one. Friday night I opened a box that definitely didn't need to be opened. I re-opened my Dawson's Creek obsession. Apparently I think that I don't watch enough TV and I needed to watch a little more. I own all seasons of Dawson's Creek and I have re-begun season one. My friend Samantha asked me a very important questoin that I must also ask all of my fellow Dawson's Creek fans: Pacey or Dawson???? Saturday Luke and I had intentions to wake up and go hiking. Those were good intentions, but not what we ended up doing. Instead we woke up and began our journey of house hunting once again. Which felt like climbing a mountain itself. We had taken a little break from house hunting to 'figure some stuff out' but now we are starting back up that mountain. That huge mountain! I will be so happy the day we are homeowners. Sunday my mom and Maxton came to spend the day with Luke and me. I just love spending time with this little guy. Here he is playing with Luke's ukulele: Notice all of the domino's behind him, those were the only "toys" I had for him. I think Aunt Megan needs to invest in some toys. After my mom and Maxton headed home I decided to finally quench my craving of a hot dog. I have been craving a hot dog for a couple of weeks now, so weird I know. So we went to Sonic and finally got my hot dog! Yay! I also have a new drink discovery to share with you: Diet Coke with White Coconut. I got one with my Sonic Coney and it was delicious. My new favorite drink!! I'm so glad I get to sleep in tomorrow! It's football season again and that means that my cute hubby will turn into a crazy man yelling at the TV and jumping around stomping his feet. He is a die-hard NY Giants fan and last year I recorded some of his antics during a game. For his sake I didn't show the recordings to anybody, but if I ever need a good laugh I go watch them. Football has never been my thing. In middle school, if I went to the game, it was to hang out with friends. In high school I went cause it was cool. My senior year of high school I went because I was all sentimental and wanted to soak in every last bit of high school. Then college came and I met Luke. And Luke's brother played college football, which meant I went to lots of college football games. Potential in-laws who are football crazy = Megan pretending to care about those men running around, and trying to figure out where in the heck that tiny ball is. As time went on I actually started to enjoy the games. I had lots and lots of questions and Luke and his family were happy to help answer them. I will never forget the time I asked where those yellow lines were. Apparently those things are only on TV which completely complicates things. So now I understand football and for the most part I enjoy it. In fact I am very grateful to football because it is the reason I got to go to Hawaii. My junior year of college Luke's brother's football team played the Hawaii team so I of course had to go to that game. I was looking through my pictures and seriously I do not have ONE picture of us at a football game from our college years. I'm sure Luke's parents have some but I have none. See what I mean? It was the best game ever. Actually I don't even remember going to the football game, only the beautiful beaches! So just know that I LOVE football if we are in Hawaii. If we are in Oklahoma, I'm just so-so about it. If you had questions about my Prayer-Journal Tabs here are some answers. If you have any more questions feel free to email me! Some of you asked about the tabs that I put in my prayer journal. I pretty much just used the basic: Praise, Confession, Thanks, and Prayer Request tabs. I added an Answered Prayers request because I think that those are important to keep track of just to see how God works. Daily Prayers: These are different than my prayer requests. These are prayers that I will always pray daily, which is just basically Luke, our future family and the members of our extended families. I will always go through these everyday. Luke: I did make a tab for Luke, but I don't know if I will use it. I am currently reading "The Power of a Praying Wife" so I thought there might be things out of that book that I would want to put in the 'Luke' tab, but now I am thinking I will just put those under 'Notes'. So that's basically my journal. 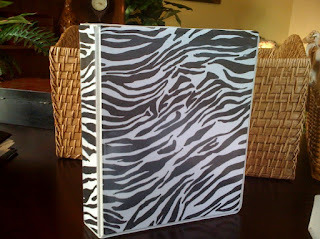 My cute zebra print journal, I might add. Last night Luke and I were laying in bed and he was reading my blog post from yesterday. He does read all my posts and all of my comments everyday. He says he moderates the comments to make sure there are no creepers out there. So creepers beware, he is on the lookout. And I'm pretty sure the only reason he reads the posts is so that he can find something grammatically wrong and correct me. Between my grandma and Luke I am made aware of every grammar mistake I have ever made. Everybody should have an English major and a former English teacher in their life. It really keeps you on your toes. "Whoa!" "That girl is tiny, you look like a giant standing next to her!" It's a good thing I haven't been worried about the extra pounds I put on lately because a comment like that just might have sent me over the edge. Sometimes I'm pretty sure boys don't think. But as long as he continues to make me breakfast and coffee in the morning I will let it slide. And just so you know, it really didn't hurt my feelings, I thought it was pretty funny, only because it was true. In other slightly non-related news I have been trying to find a way to organize the time that I spend with God. Sometimes I just come to him ramble on and on and don't really adequately use time that I set aside. I remembered that I used a journal format in college and it worked for awhile, so I decided to try it again. So I used the very, very little crafty skills that God gave me and put together a prayer journal. 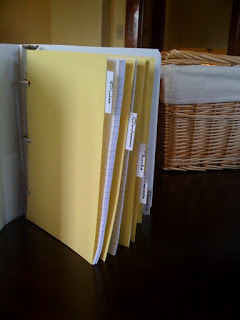 And by crafty skills I mean I cut up some paper and put it in a binder. Clearly, I will be setting up an etsy shop soon. I used this pretty zebra paper and I'm sure God loves the fact that I used zebra paper for my prayer journal. I am fully supporting God's beautiful creation. I love all things zebra. Except for zebra leggings, those are not cute. Here is the inside of my journal with nifty tabs that I printed off on the computer and felt a little too proud of my accomplishment. I even included a tab just for Luke, because clearly he needs lots of prayer in learning not to call his lovely bride a "giant." 1. 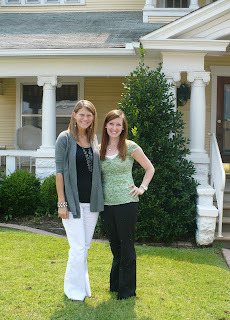 Today I had a very special lunch date with my bloggy friend Lindsey who was in my town for a work event. This was our third time to get together and each time we hang out, we have so much fun. She is so fun and just so cute! I think we could always talk for waaaay longer then time allows. I am glad to not only call her my blog friend, but also a real life friend! We rode to lunch in my car where she got to see my broken key in full action. It totally made me feel ghetto fabulous. Maybe one day I will have a normal key again. 2. Last week Luke and I picked up our other end table and I found some cute lamps on sale at Kirkland's (seriously love that place). It's amazing how much those two tables add to our living room. It brings a sense of a 'home' feeling to our apartment. This is a bad picture but its the only one I have and I figured I couldn't talk about the tables without pic. 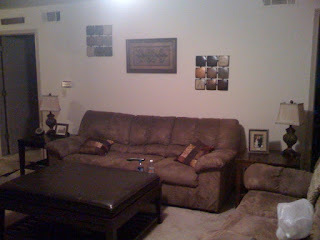 Next item I need to buy is a painting to go above the couch. I thought we would only be in our apartment for 6 months, but now, since I figured out we are going to be here for a good forever I decided I should go ahead and fully decorate the ole APT. 3. Today I got my Kraft magazine in the mail and I am excited to try some of the recipes! There are some good ones in there this month. Although, I am convinced that the magazine contains some magic brain washing powder between the pages. We went grocery shopping this evening and I kept grabbing Kraft products. I was not even doing it on purpose. And I suddenly found myself CRAVING Kraft Mac 'n' Cheese and a grilled cheese sandwich with Kraft cheese. That is marketing at its finest. 4. We have no plans for our Labor Day weekend which seriously stresses me out. We can't really do anything for the weekend because we have to be back for Sunday morning. Not having plans on a holiday weekend makes me want to cry. And then I realize that is dumb and I need to get over it. I am lucky to have a weekend that I can use to relax and spend time with my cute hubs. 5. Today I did not put my hair in a ponytail until 5:30. That's progress people! And I wore my new girly perfume!